Gruyere is one of Switzerland’s better-known, most prevalent, and finest cheeses, a big beautiful repository of alpine flora and terroir. Its hard to semihard paste melts in your mouth and reveals a nutty, slightly sweet taste with complex musty, mushroomy flavour notes. It offers a long, full aftertaste with distinct hints of spoiled milk. 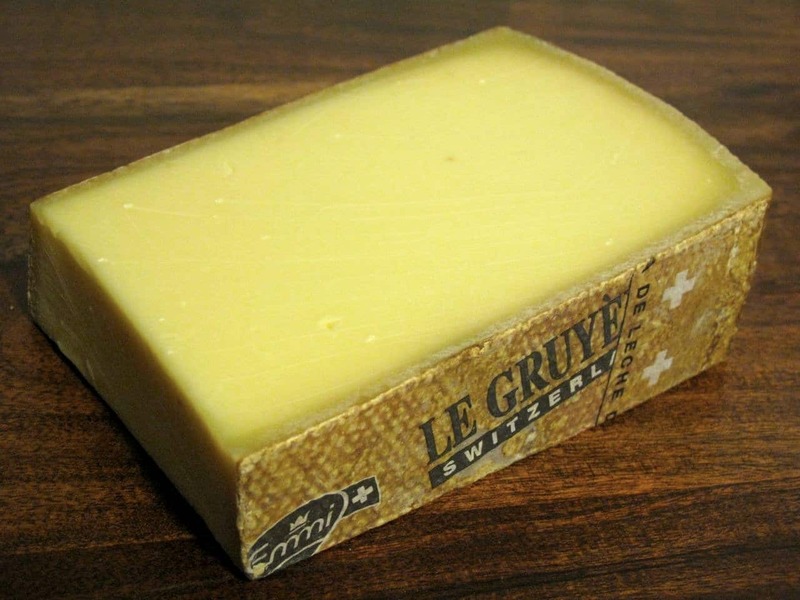 One of the best things about gruyere is that it’s a little salty on the attack but not on the finish. I much prefer the well aged- variety- with its crunchy bite from the sugar crystals. This cheese is one of my top ten favorite cheese and I love to served it on fresh baguette with a whisper of red pepper jelly. I have to agree with you on this one. Gruyere is good stuff. Interesting recommendation of pairing with red pepper jelly. I am going to try that.